The last time we saw Voldemort, I mean Vinod Khosla, the Silicon Valley billionaire was playing the role of mystical villain to local beachgoers. The venture capitalist purchased property in San Mateo County that contained a private access road -- the only access to Martin's Beach, which is otherwise surrounded by cliffs -- and closed off the road. The history nerd in us quivered: The case involved property rights derived from the freaking Treaty of Guadalupe Hidalgo. Yeah, that one, the one that predated America and ended the Mexican-American War. These exact land rights were upheld by the U.S. Supreme Court in 1860, a few years before the California Constitution was revised to protect water access. Last October, a judge ruled that because the grant and treaty predated California's Constitution, Khosla's land was exempt from state law. Yesterday, in a parallel case, a second judge reopened access to the beach, but it may be only temporary -- her holding was that Kosla was missing a permit. Still, two more challenges, in the legislature and in a state agency, are pending. Before we get to the holding, let's recap the timeline of Khosla's ownership of the access road. According to the San Jose Mercury News, he purchased the property around the beach for $32.5 million in 2008. Two years later, he closed off the road, citing unreasonable demands from San Mateo County and others (year-round access, limiting access fees to $2 -- the same amount charged in 1973, etc.). Like the Grinch on Christmas, Khosla closed the gates in 2011, citing maintenance and insurance costs, reports the San Francisco Chronicle. Last year, Superior Court Judge Gerald Buchwald held that Khosla's land was exempt from California law because the original land grant was guaranteed and recognized as valid by the Treaty of Guadalupe Hidalgo in 1848, and re-validated by SCOTUS 12 years later. California didn't get into the coastal access regulation game until 1879. Beach access advocates weren't deterred by the setback. Not only did they appeal the ruling, but they have three more avenues of attack in the works. The other lawsuit asked for fines because of Khosla's failure to obtain the proper permits before closing the gates. On Wednesday, Superior Court Judge Barbara Mallach agreed with the Surfrider Foundation, ordering Khosla to reopen the gates until the proper coastal development permit could be obtained. Still, the victory seems temporary (and likely to be appealed), and may only open access until the paperwork is pushed through. 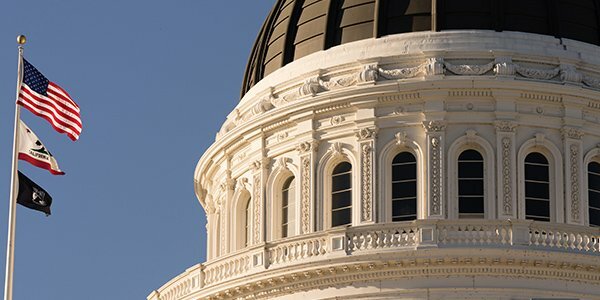 According to the Mercury News, two more permanent solutions are currently in the works: legislation and regulation. A bill sitting on Gov. Jerry Brown's desk would require the State Lands Commission to negotiate access with Khosla and possibly use eminent domain to acquire it. (How do eminent domain and an 1848 treaty recognizing existing land rights fit together? Law nerd quivering once again!) Meantime, the California Coastal Commission is investigating whether a prescriptive easement exists due to the decades-long access that predated Khosla's ownership.